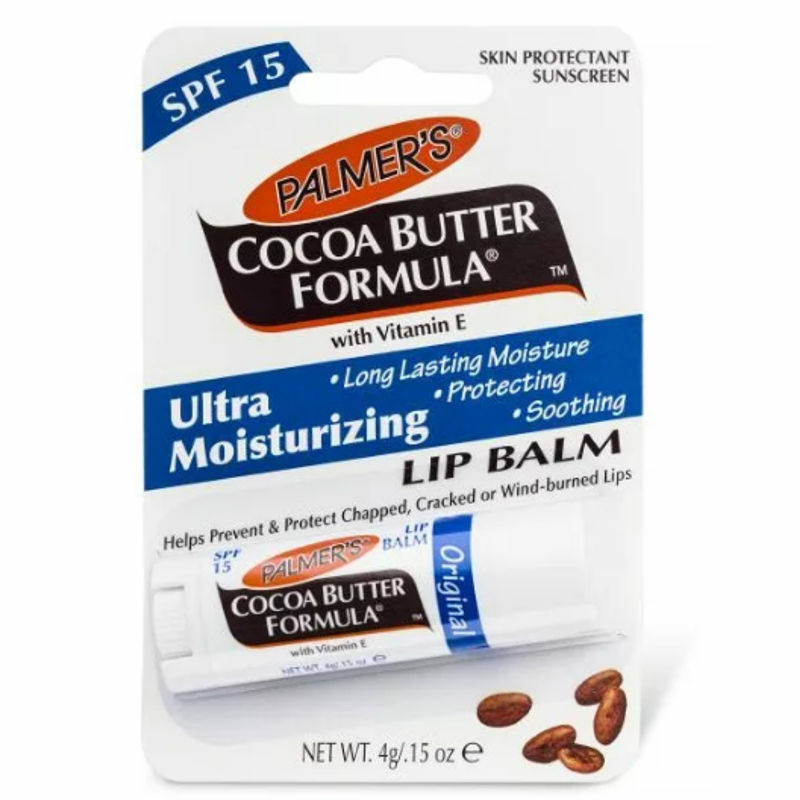 Palmer's Cocoa Butter Formula Ultra Moisturizing Lip Balm, enriched with Vitamin E and with the added benefit of SPF 15, helps prevent and protect chapped, cracked or windburned lips. Smooth application and a convenient size make this the perfect year-round lip balm. Cocoa Butter: a rich, natural moisturizer that leaves skin soft and silky, transforming even the roughest, driest areas into buttery soft skin. Explore the entire range of Lip Balm available on Nykaa. 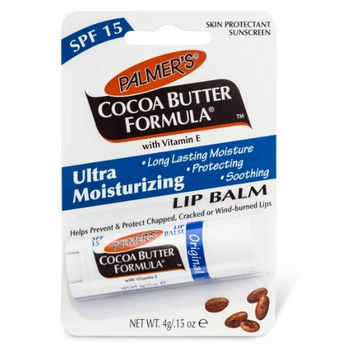 Shop more Palmer's products here.You can browse through the complete world of Palmer's Lip Balm .